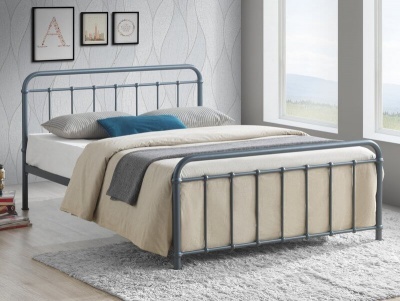 Create boutique hotel style in your bedroom with this delightful bed frame. Elegant scroll design with deep buttoned detailing to the head and foot-boards. Gorgeous soft touch mink chenille fabric adds to the sense of luxury. 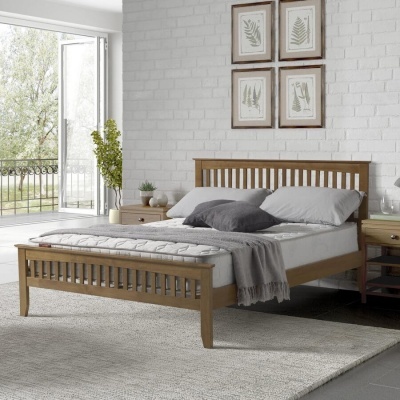 High headboard is ideal for those who love to sit up and relax in bed. Foot-board height - 67 cm. Under-bed clearance - 10 cm. Choice of bed frame only or with the Elite pocket or Memory pocket mattresses. Self assembly required, full instructions included. No need to struggle, the Ravello scroll bed is delivered by a two man team to a room of your choice. Delivered in three boxes plus a plastic wrapped mattress if ordered.